It is striking to note that in the Qurʾān and the oldest texts the term Sunna is used more often than the term Šarīʿa in order to mean the law. The word Sunna used to refer to the oral law transmitted by the tradition and the forefathers. For Christian and Muslim authors, Sunna it is part of the non written revelation. Starting with the eleventh century, an epistemological shift happened: Sunna was canonized as a written text and the word Šarīʿa takes the meaning of the Islamic law, along to the expression aḥkām al-islām. 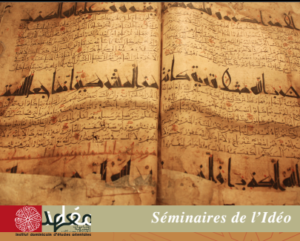 Modern authors such as Ḥasan al-Bannā and Sayyid Quṭb progressively used the term Šarīʿa to refer to the corpus of written laws.